OS X Lion is is newest OS with lots of new features. The forthcoming operating system features new Multi-Touch gestures and fluid animations built into Lion that allow you to interact directly with content on the screen for a more intuitive way to use your Mac. To upgrade your Mac to new OS X Lion, you don’t have to go store to buy a Box, you can it easily from MAC App store on July. All you have to do is click the Mac App Store icon, buy Lion for $29.99, and your Mac does the rest. 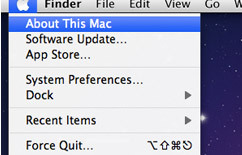 Your Mac must have an Intel Core 2 Duo, Core i3, Core i5, Core i7, or Xeon processor to run Lion. Find out if your current Mac has one of these processors by clicking the Apple icon at the top left of your screen, then choosing About This Mac. 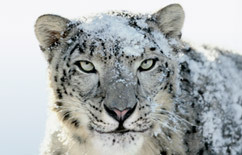 Get up to date with the latest version of OS X Snow Leopard to purchase OS X Lion from the Mac App Store. If you have Snow Leopard, click the Apple icon and choose Software Update to install the latest version. 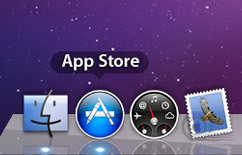 When OS X Lion is released in July, open the Mac App Store from your Dock to buy and download it. Then follow the onscreen instructions to install Lion.